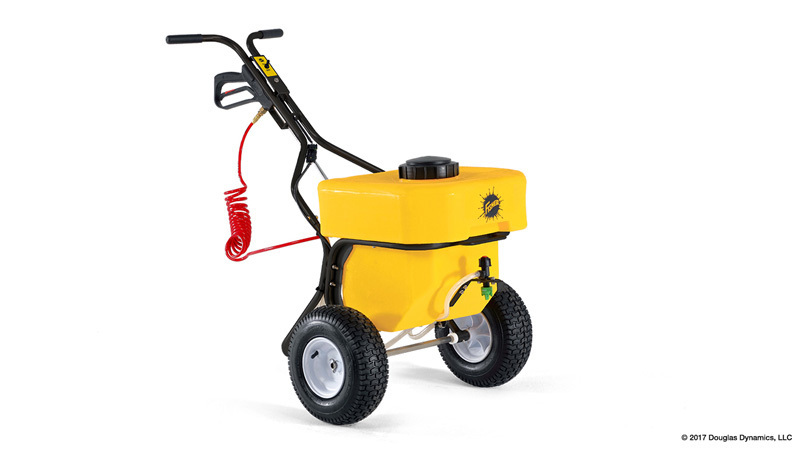 WALK-BEHIND SPRAYER for Sale in Brookfield, MA | BRIAN'S TRUCK EQUIPMENT INC.
Pretreat surfaces with liquid anti-icer to get the competitive edge with the FISHER® SS-120 walk-behind sprayer. Featuring battery-powered convenience and a heavy-duty spray wand for stairs and other hard to reach places, such as curbs and steps, melt ice faster with less salt to prevent bonding to the pavement before the storm. The ability to quickly, safely and effectively scrape surfaces clean after the storm makes it a great choice for commercial or municipal use in Brookfield.